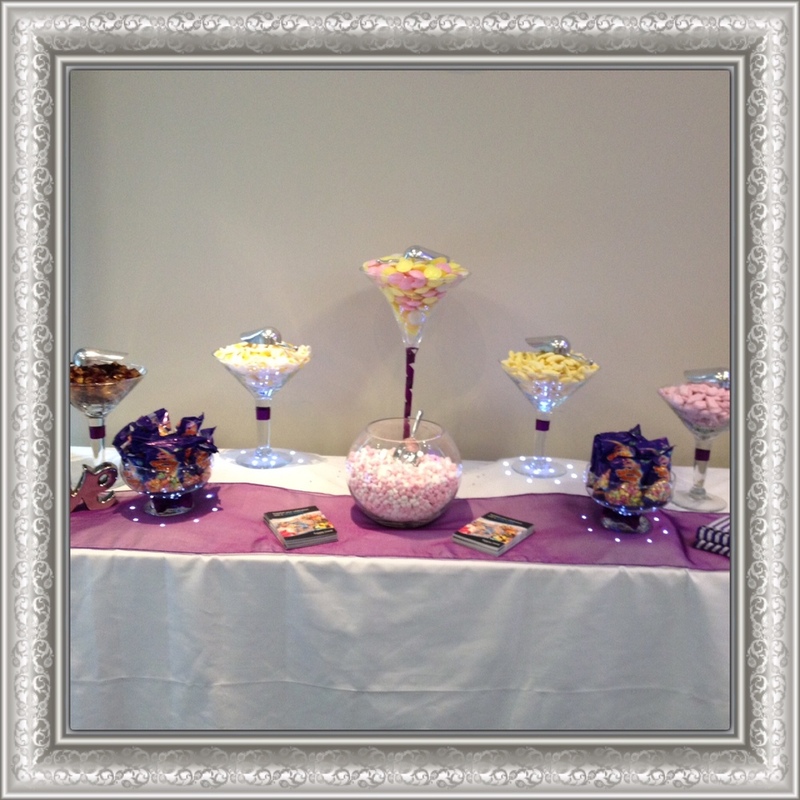 Our Candy Buffets are incredibly popular and are loved as much by the adults as with the children! 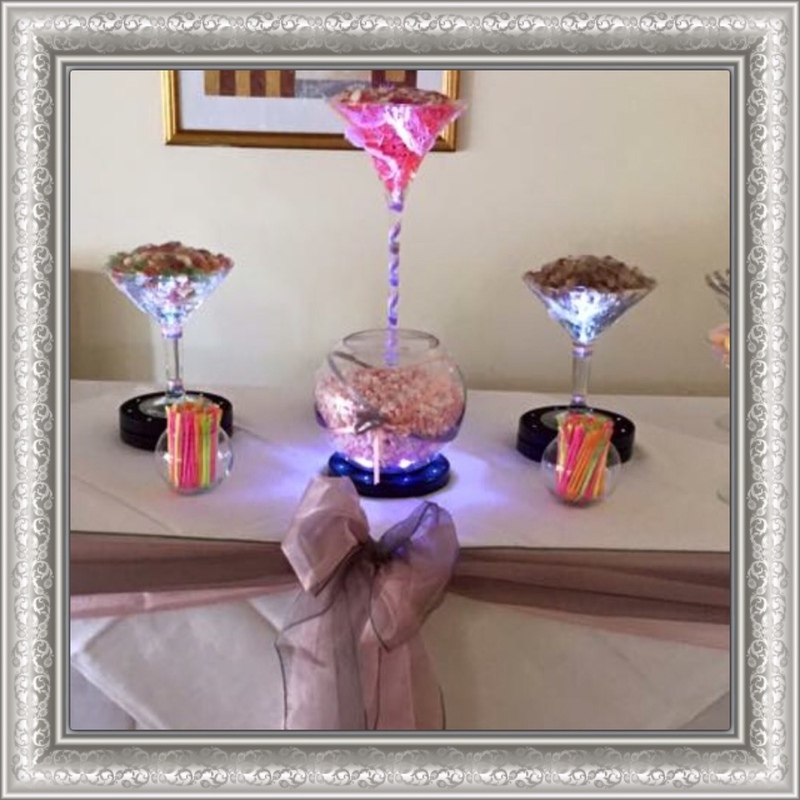 We have four package sizes available depending on the numbers of guests that are to be catered for and will be delivered, set up and collected from your venue. 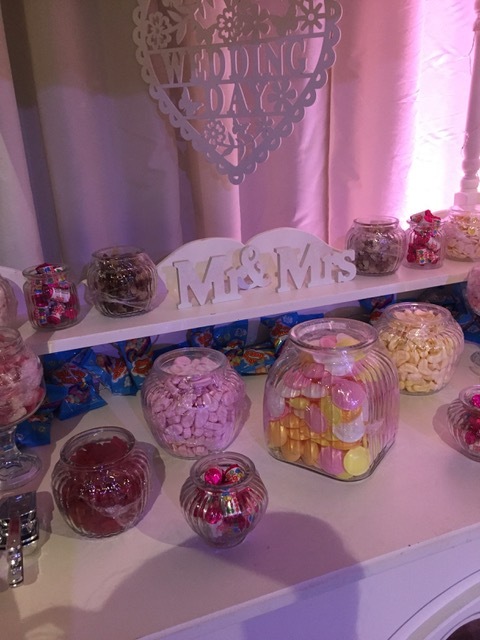 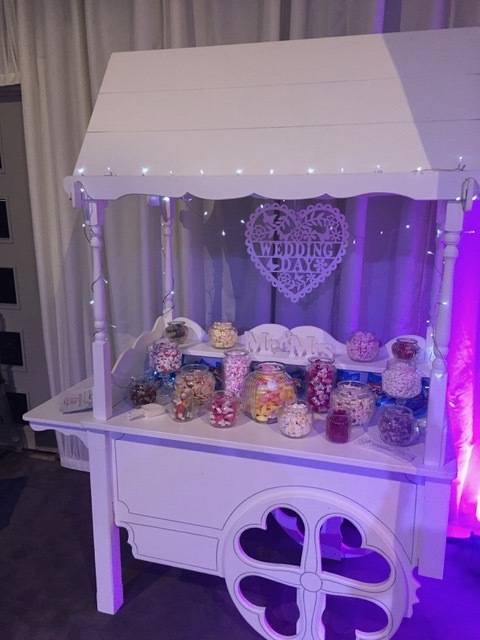 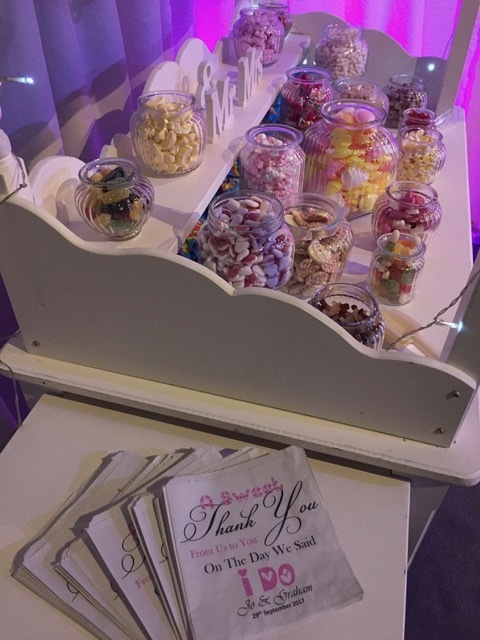 There is a wide choice of sweets available, with retro styles being the most popular, and we will of course work with you to ensure you have the right choices for you. 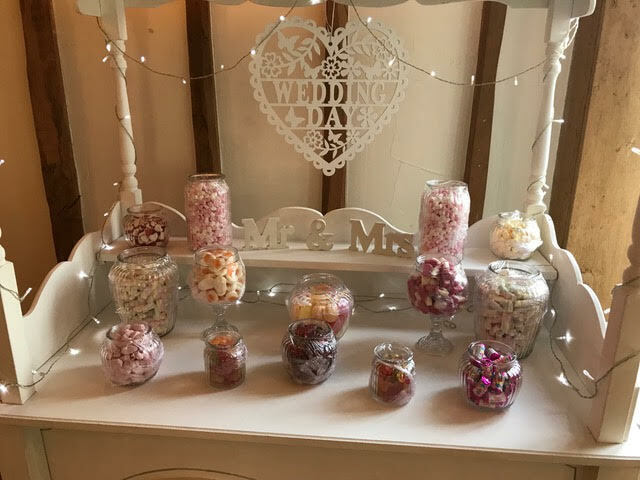 We often run special promotional rates for our Candy Buffets when combined with a chair cover order so please ask for more details! 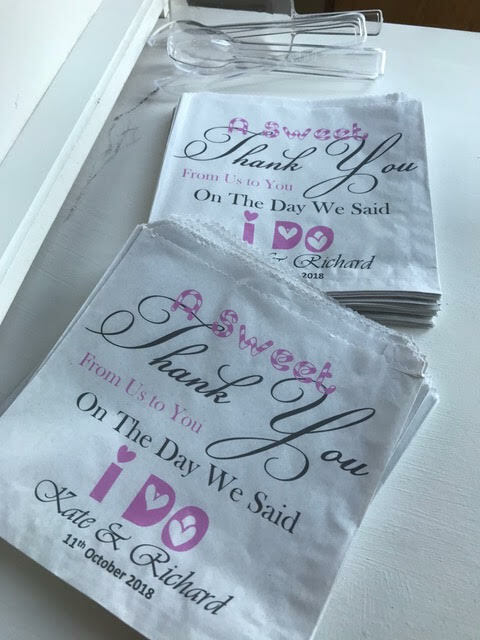 These bags are printed with your name and date (and any other detail you want) and can be added to your candy buffet or can be ordered separately for DIY sweet tables or as wedding favours. 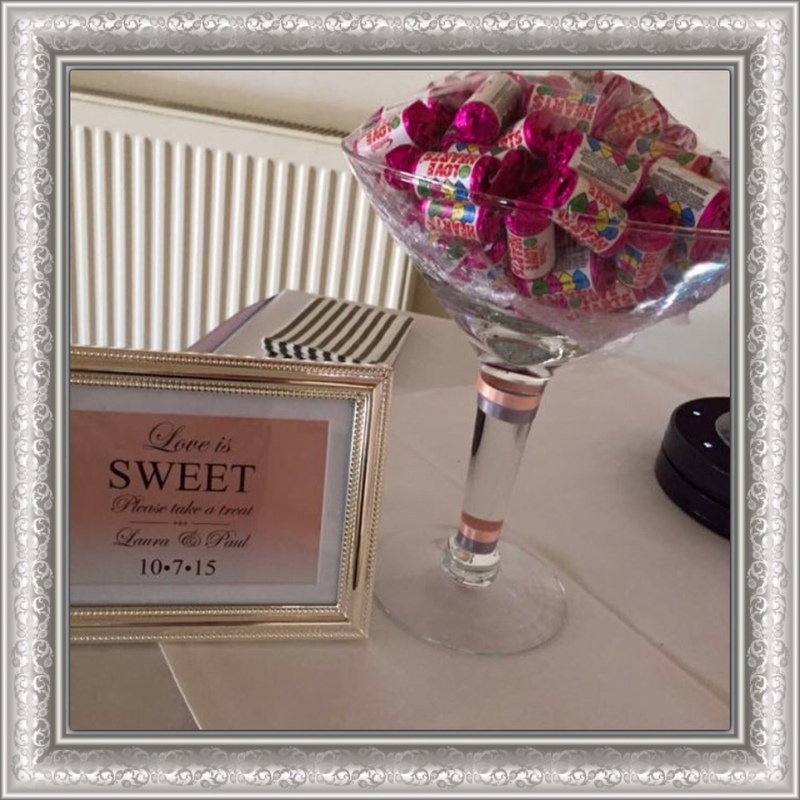 They are perfect for couples who want that extra personal touch. 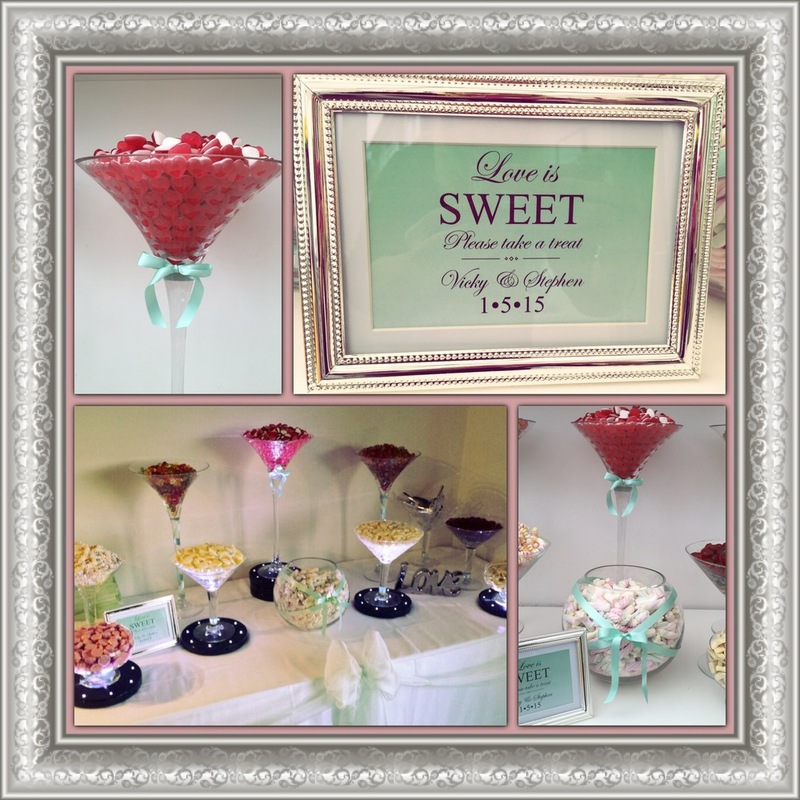 Why not upgrade your Candy Buffet to our Vintage White Candy Cart! 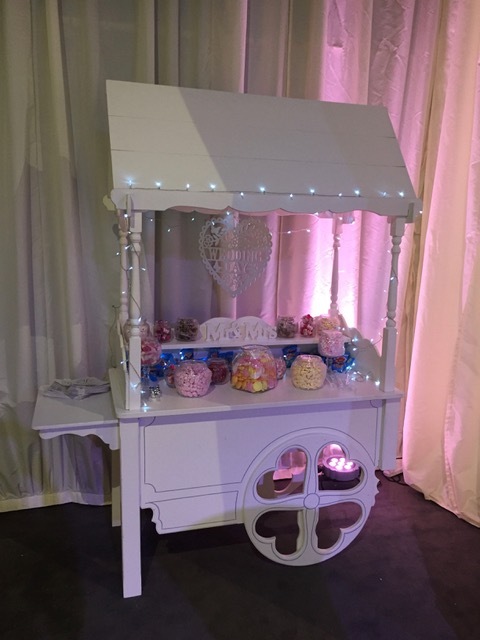 The Cart will be decorated with fairy lights and roses or bunting can be added to suit your theme or style. 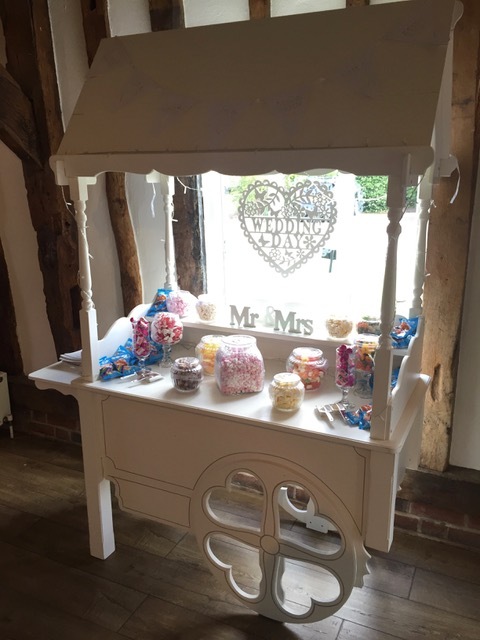 The Candy Cart is very popular so early booking is recommended!